I have compared Leadpages to another popular product on the market, OptimizePress. I use both products and will do my best to give you all the best features from an end user perspective. This way you can read all the specifics right from their website. What I’m going to give you is everything that I’ve used personally, along with examples. You can make every kind of funnel you could possibly need. For my business, and almost all businesses, it boils down to 3 Essential Funnels. The best part about the video lessons, is that after you create the first page, you just duplicate and change a few things. A 3-part video course took me just a few minutes to create all the lesson pages. Next up is the Sales Funnel. Again, in the interest of saving time and effort, all I did was copy my Sales Page, and turn off almost all the elements except for some text and the button to register their account. The Thank You Page for the Webinar autoplays a video with confirmation about the registration. They are also offered a related product that COMPLIMENTS but doesn’t COMPETE with the offer I present during the webinar. 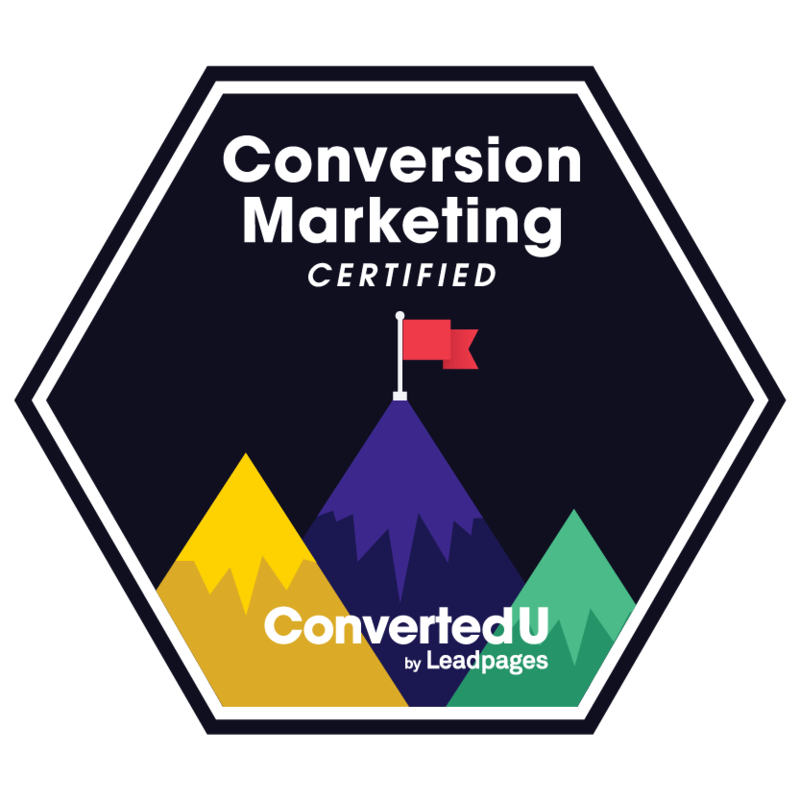 Leadpages has constant updates on their Blog with helpful content. Notice that I said ‘helpful content’. Not just fluff and articles that entertain. Case studies that you can copy and implement with the exact pages, copy and workflow. I enjoy being on their list and I’m the kind of person that hates being on mailing lists. Their library gives access to free images, infographics, and landing page templages. And I have utilized all of those at some point, all of it high quality. Leadpages has an active affiliate promotion service. I love that you just have to click a link to reply and request affiliate tools. They send over ready made email swipes to promote to your list. They run new promotions like clockwork and do all the work, you hit send. I would say that Leadpages has great looking templates, but they are rigid. Meaning, that you can turn off elements and hide them, but you couldn’t move them around. HOWEVER…they have since introduced a drag and drop builder that lets you do just that. Take an existing template and turn it into your own creation. Or load up a blank canvas and start from scratch. This is a great feature that can be used to send files along with your welcome email. You promised a PDF download, so you can send it with the Lead Magnet feature. Now you use your welcome email for more than just delivering the download link. It also acts as a bit of a safety net, in my opinion. If your initial welcome email mistakenly goes to a Spam or Promotions folder, your automatic Lead Magnet email has a good chance of hitting the Inbox and you could include a custom message about whitelisting your future emails. Leadboxes for Content Upgrades means faster list building. With a Content Upgrade in your blog post, your prospect can get a more enhanced version of the blog post, an additional piece of content, or maybe a full blown audio interview. They just click the Leadbox image, text link, or button and then get a simple request for email address. This ties into the automatic Lead Magnet feature and you have a powerful list building method. Using LeadDigits you can advertise in a lot offline locations to generate leads. Which website converted 20% higher than the other? If you don’t split test, you will never know. 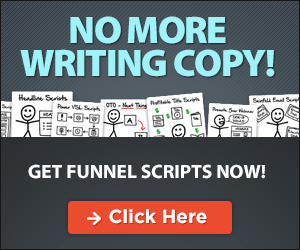 With OptimizePress you can make the 3 Essential Funnels. You can make each one of the funnels outlined at the top of the page using OptimizePress. Each one of the funnels shown, can be built using their template library. And you get total control with template Editor. Some real time saving features are being able to duplicate elements as well as entire rows of a website, which is very handy if it’s a long webpage with a lot of repeating content. This is great for me, because it’s a great looking blog theme that doesn’t take much work to completely personalize with my brand. It is easy to update with new blog posts and it’s all done in the WordPress dashboard. In fact, this website is running the OptimizePress Blog Theme right now! Or take an existing product and turn it into an evergreen launch you can easily set that up in Optimizepress. Which means, every person that lands on your page will automatically go a perceived launch sequence so you don’t have to worry about releasing content on specific days for a full blown launch. They will receive new content from emails in your autoresponder that match up perfectly with the launch content on your website. You can also use the Launch Gate to make sure people join your list to view your prelaunch content. If they try to view it without optin in first, they will get directed back to a Landing Page where you can capture their email address and they can access your prelaunch content. OptimizePress comes with a free plugin for WordPress that lets you setup a membership site. Using the OptimizeMember plugin and a few of the lesson pages, and you have a complete recurring income membership website. You get 10 levels of membership (Free, Bronze, Silver, Gold, etc..), and you can name them whatever you’d like. The membership levels are structured so higher level members have access to lower level content. You can also create custom ‘Packages’, which is where the real magic happens. Even if someone is a higher member, they can’t access lower content with a Package applied. Eg. A specific page requires Silver level membership. Silver members can access, Gold members can access. Another page requires Silver member with ‘Marketing Package’. Only those members can access, Gold members, Platinum, Titanium…no access without that Package. This means unlimited membership levels. I want to state that I still use both products. I enjoy both products and I know that if I had to start over and only have one, either one of them would serve my business needs. It would be Leadpages because of 3 simple reasons. They have given me access to a TON of valuable courses which have covered List Building, Affiliate Marketing, Facebook Advertising, and Webinar Funnels. Any one of these courses would have easily sold for $500-$1000 per course. They constantly provide valuable content and really their customers to succeed with their product by showing other customers case studies. They are always looking to improve their product and make the customer experience a top priority. 3. Which one I would choose if I had to pick just one of them, and why I would make that choice.